How can I separate Na3PO4 and NaH2PO4 that are in solution. Can use normal re crystalization because they are to similar and both are soluble in the same solvents. You cannot separate them because they can easily turn one to another. 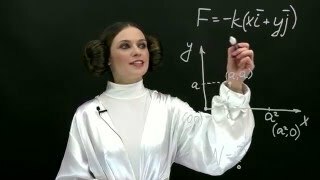 Really, if you mix equal amounts of Na3PO4 and NaH2PO4 in the solution, you will obtain the solution of Na2HPO4. If you need to obtain both substances from the solution, you can convert them into one by adding the phosphoric acid H3PO4 or sodium hydroxide. Then you take part from the obtained solution and proceed the reverse operation. Generally the answer will be the same. Change in the question condition will lead to change of the necessary amount of sodium hydroxide or phosphoric acid. NaH2PO4 and Na2HPO4 can simply turn to each other as well. Hi. thanks for the response. in looking at my question I screwed it up. it was supposed to be Nah2p04 and Na2HP04.. monosodium phosphate and disodium phosphate. Must have been late at night. 1. Explain the chemistry of Indole and Benzopyrrole?